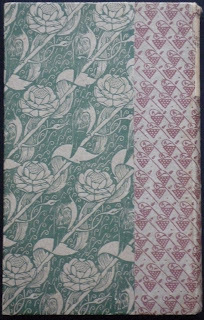 In June 1898 the Vale Press published a two-volume edition of The Rowley poems of Thomas Chatterton. 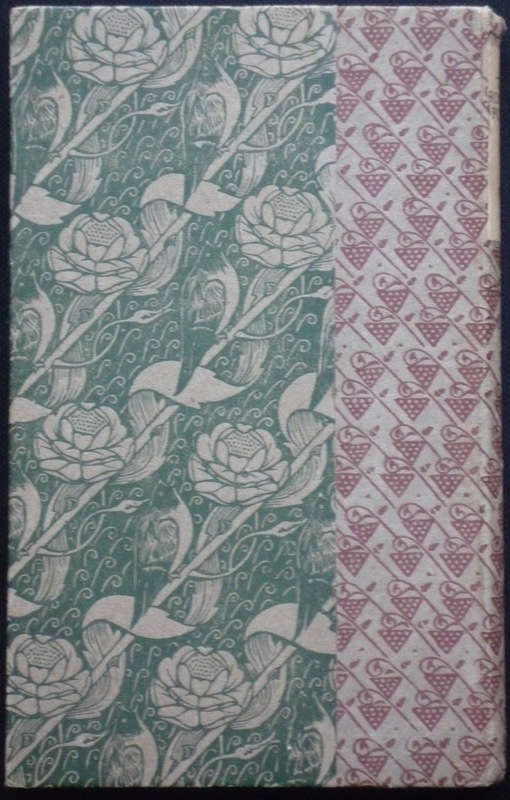 For this book Ricketts designed two patterned papers, one for the boards and one for the spine. They were used on both volumes. 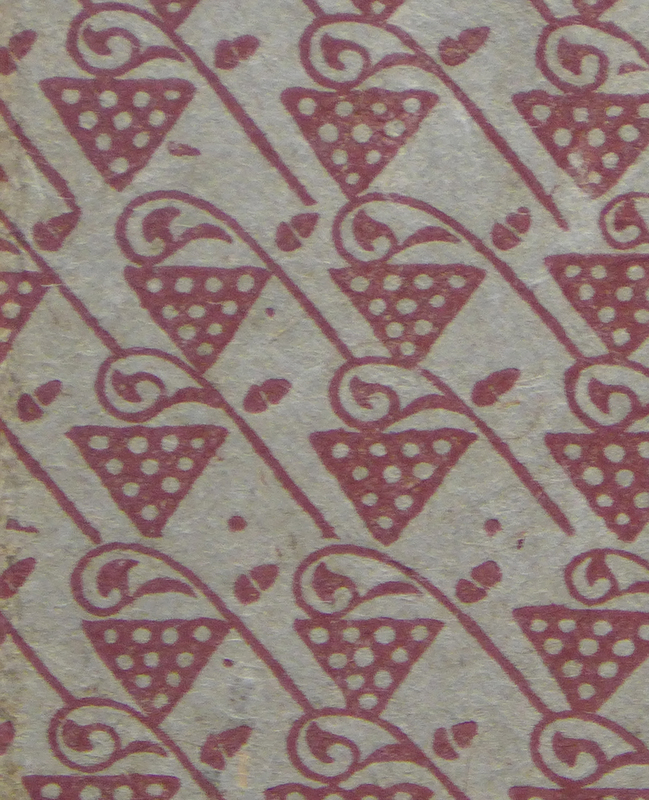 The paper on the boards is a pattern of 'rose and bird', according to Ricketts in his bibliography (1904). 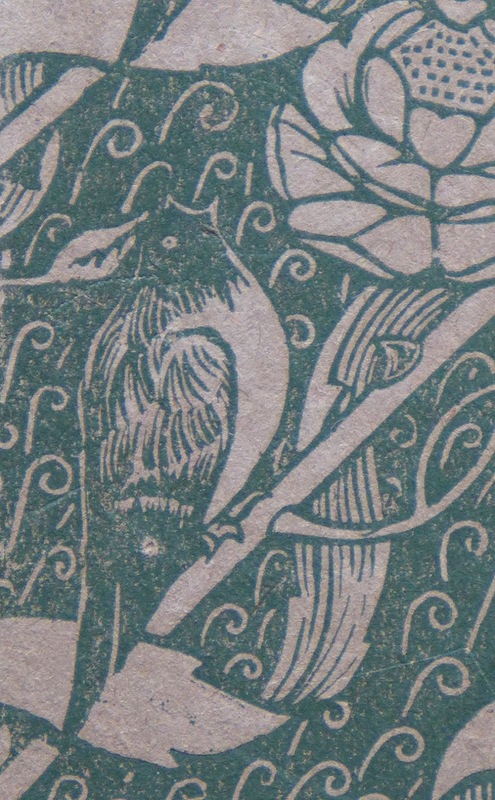 Colin Franklin, in his book The private press (second edition, 1991), identified the bird as a swallow and this may well be the case, although Ricketts's designs usually are too stylized for an exact determination. Ricketts apparently did not really care for exactness in naming the bird, or the flower, for that matter. He said it was a rose, which is obviously true, but he does not tell us what kind of rose. 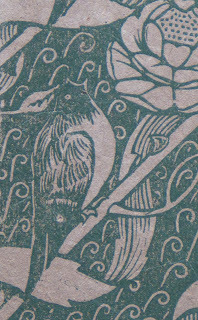 The same goes for the patterned paper for Michael Field's Fair Rosamund, for which another rose and another bird (a dove this time) were drawn. 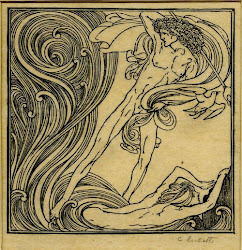 The second paper is nameless. 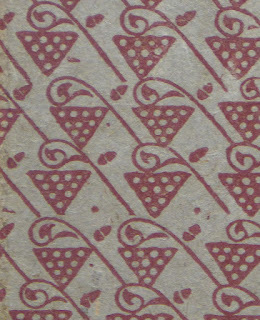 It has an abstract pattern of acorns and dotted triangles, that may be vine leaves, and were called 'vine-and-diamond domino' by Alice H.R.H. Beckwith (in Dictionary of literary biography, volume 112, 1991). There seem to be no repetitions, Ricketts must have engraved an entire block for it.